Introducing an even more compact version of the Isarau, ideal for carrying just the essentials, leaving both your hands and mind free. The front of this Isarau S is constructed from black MemoryTech, the back from black EcoYarn. 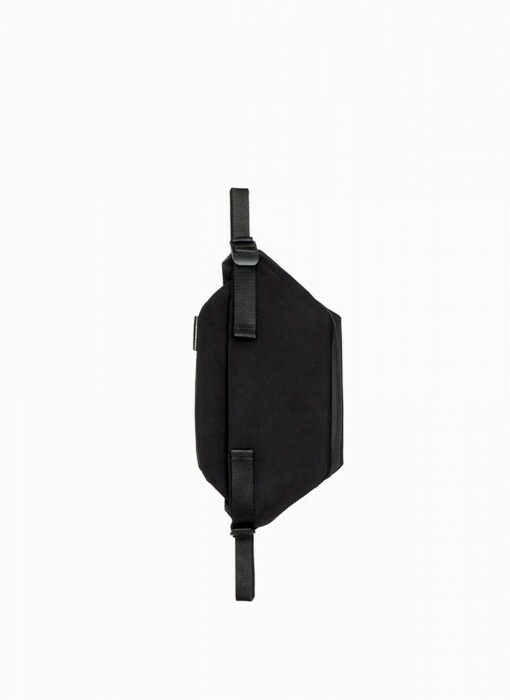 Internally, the Isarau S MemoryTech Black features a black interior lining with two main compartments, a padded device pocket which closes with a magnetic tab and a zipped pocket. In addition this messenger features black zips and straps and matt black metal trims.